Let us solve your technology challenges today! 9am-5pm, Monday through Friday, Weekends and other times by appointment. 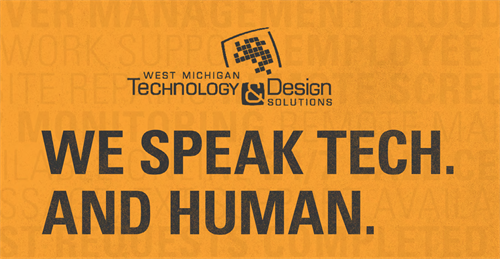 West Michigan Technology and Design Solution helps frustrated companies and individuals by providing technology support, education, consulting, and by more importantly ''Speaking Human''. We focus on 2 main areas Websites, and Managed IT for companies.